The School and Public Health Nurses Association and Northumbria University have devised a training programme to improve the nutritional health advice offered to young people by school nurses. 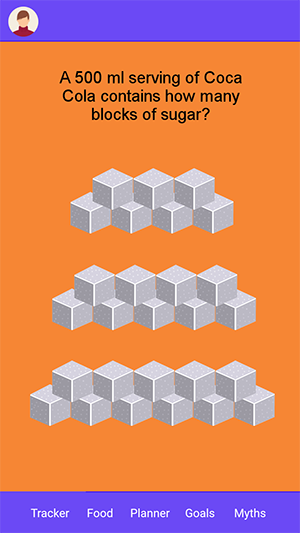 Tackling child and adolescent obesity is a serious public health challenge for professionals. Globally, nearly one third of children between two and 15 years old are overweight or obese, and a recent report from the World Health Organization (WHO) revealed obesity is rising among teenagers in Europe. In a bid to change this bleak health picture for young people, the School and Public Health Nurses Association (SAPHNA) and Northumbria University have devised a training programme to improve the nutritional health advice offered to young people by school nurses. A total of 120 school nurses will receive training to become SAPHNA’s Young People’s Nutritional Health Champions. The training will help to increase the knowledge and skills of the nurses to enable them to engage 12-19 year olds in nutritional health. The programme is funded by the Burdett Trust, with the aim of reducing maternal obesity through this targeted support to future parents. Young people are more open and amenable to change due to their ongoing neurological development during adolescence. The programme is funded for a three-year period and has recently entered its second year. 'School nurses have an important role in supporting children and young people on nutrition and leading a healthy lifestyle,' says SAPHNA’s chief executive officer Sharon White. As part of the programme, school nurses initially attend a one-day training event to learn how to become champions of healthy eating and how to deliver their training to school nursing colleagues. They also receive training on motivational interviewing and brief intervention therapies. During the training day, the nursesl watch a short film on young people’s views on nutritional health. The film features the voices and viewpoints of young people who have been involved in the programme’s development. 'Some of the young people who feature in the film have issues with their weight, yet they wanted to be involved and talk about their experiences to use the film as a springboard to do something positive about their lifestyle,' says Ms White. The nurses receive a resource pack providing guidance on evidence-based healthy eating, interviewing tools and signposting effectively. In addition, the nurses have access to a digital app. The young people have been heavily involved with the design of the app – including deciding that they wanted the app to focus on behaviour change. 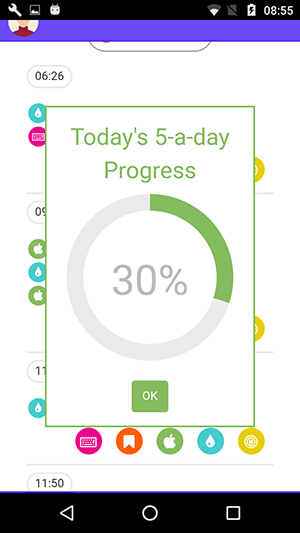 It can be used as an alternative to a traditional food diary sheet, enabling young people to keep an account of their daily food and drink intake and share their progress with their school nurse. Goals can be set in partnership with the young person’s school nurse. 'The app provides the school nurses with a tool to work with students,' says Ms White. 'It is also a tool for young people to work through on their own or with others such as friends or parents. The app enables users to set goals and make small changes to their lifestyle, such as increasing their daily water intake. The one day training events are taking place across four regions in England: North East, North Yorkshire and Humberside, the Midlands and London. School nurses are travelling from far afield to access the training, with nurses from the Isle of Wight recently attending a training day. 'We expect the cascading effect from the 120 champions we have trained to potentially reach an additional 1,000 school nurses,' says Ms White. SAPHNA will follow up with each champion after 12 months to find out how they have progressed and to seek feedback on what has happened as a result of the cascading of their training and the impact on young people. The aim is to use the evaluation feedback to enable the programme to continue longer term. 'The aim of the programme is ultimately to make a difference to young people, by improving the nutritional advice and information they receive via their school nurse, says Northumbria University senior lecturer in community public health nursing, Victoria Gilroy. 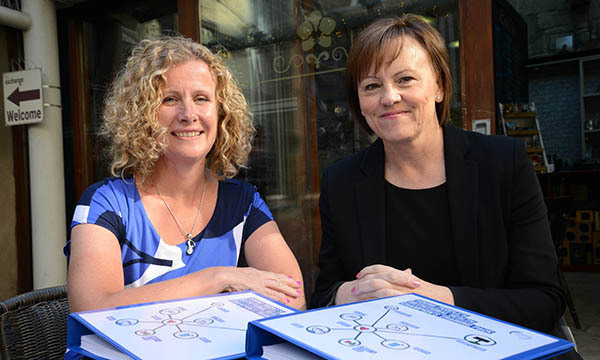 Before the introduction of the champions training programme, a national survey of school nurses was carried out to inform the development of the educational resources. Respondents felt ill-equipped to provide targeted healthy eating information to adolescents. Many had received no formal training despite working with this age group. 'The school nurses felt working with adolescents on nutritional health was part of their role, but their services were currently reactive and not focused on a preventive public health role,' says Ms Gilroy. Time was also flagged as an issue in the survey, but it has not posed a problem for the champions. 'They have discussed breaking up the training day and splitting it into sessions if time is an issue,' says Ms Gilroy. Focus groups with young people from schools across the North East revealed a lack of relevant support and information. 'They felt little health advice was aimed specifically at them and found some of the language used was patronising,' says Ms White. 'They also felt helpless because as adolescents they are making adult decisions, but they are sometimes stuck with the food choices that their parents make. 'They described a similar situation with school meals and expressed concerns with the cost of healthy food. One young person gave an example that fruit is priced at £1.05, but cookies are 60p.